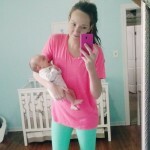 Last Updated: July 20, 2014 By Katie 100 Comments -- Paid Promotion. Disclosure policy here. So first and foremost, I need to address a major mistake I recently made: I started my Tone It Up plan with the 7 Day Slim Down. If you aren’t familiar with the plan, the 7DSD is a calorie-deficient meal plan meant for anyone trying to lose those last 5 pounds or who is getting ready for an event or something like that. I had it in my head that it was a great way to kick off the plan! Which, I mean, it could be, if I hadn’t just had a baby and still needed to nurse him! By day three of the slim down, I was feeling weak and sick to my stomach, and Sam had been getting up much more frequently every night. Remember when I said he had kind of reverted backwards and was waking up every 2 hours to eat? Well, right when I realized it was probably because I wasn’t producing enough milk to fill him up, due to my lack of calories, I decided to stop doing the slim down. It was simply not enough calories for a breastfeeding woman and I wish I would have seen that sooner, but thankfully when I stopped, on day four, things went back to normal and he was eating better and staying full longer and I was feeling better myself too. That definitely scared me, though, and I want to let any of my fellow nursing mamas know not to make the same mistake I did! It took 9 months to get to where I was, so I should never ever start thinking I need to lose it all in less than half of that time! That is just crazy! Plus, little Sam needs me to keep some fat in order to provide nourishment for him! I know a few weeks ago I was talking about wanting to lose those “last 5 pounds” but I’ve now realized I need those last 5 pounds to stick with me! And I am more than okay with that! I definitely had an unrealistic vision of what I needed to look like- NOW- and I’m just glad I’ve since come to my senses about all of that. Now, this doesn’t mean I’m not exercising and eating healthy. I have since switched to the regular Tone It Up nutrition plan, and am feeling amazing! I’m making sure to keep my calories up and both Zack and I are making wise and healthy decisions. It’s so nice that he’s willing to do this with me! We’ve started a little family routine of going on a 30 minute walk every morning when we wake up, and it’s so nice. 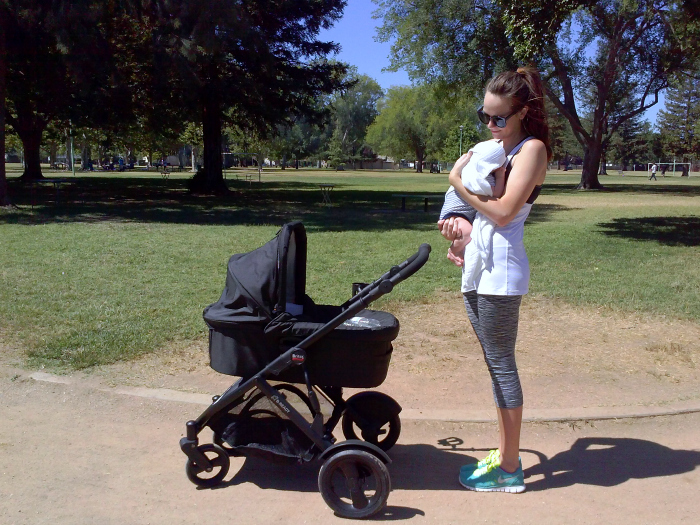 I look forward to this time each day, pushing Sam in his stroller (or carrying him, like the other day when he simply refused to be pushed- hey, it’s an added workout!) and just talking. It’s easy to fall into a daily routine where we can sometimes seem like ships passing in the night, going about our activities, but these morning walks mean so much to me. It’s our time, just us two, where we talk about whatever’s on our minds and share our dreams, our stories, our wishes. I love it. :) Plus, we’re exercising together, too, which let’s be honest is the best thing ever, is it not?! What do you do as a family that you love? Have you made any mistakes lately when it comes to fitness? What made you realize them and what did you do to change them? I’m so pleased to be partnering up with LORNA JANE for a $100 gift card giveaway! That’s right! Lorna Jane has quickly become a new favorite of mine for all things workout clothes, and I couldn’t be happier to spread the love to one of you! *To enter, simply visit Lorna Jane’s website and tell me in the comment what item is your favorite! **Bonus entry: link up a post of yours below. Be sure to link back to me in your post! ***Another bonus entry for following me on Instagram @katie_did_what (just leave a comment with your instagram name). I love the monroe hoodie. First off you’re an amazzzing mother and your family is adorable! You’re very inspirational and already look gorgeous! 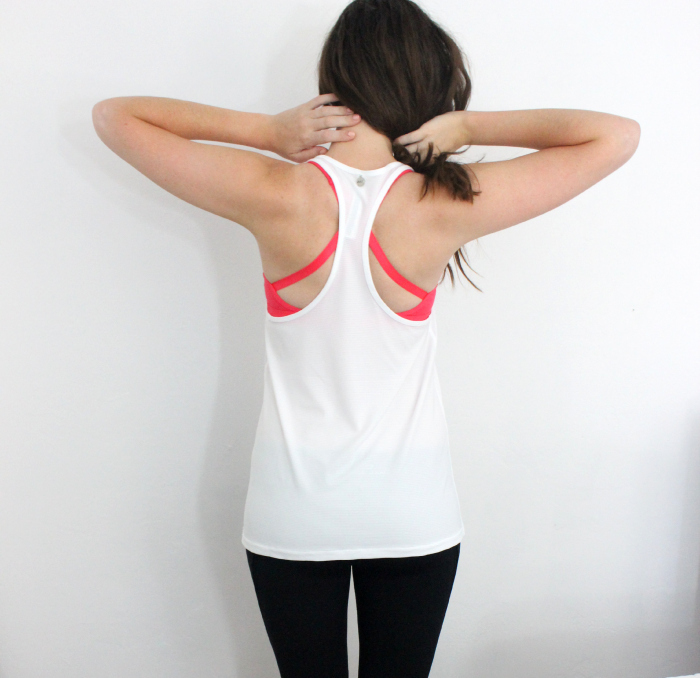 Lorna Jane’s stuff is awesome, and I have been eyeing for awhile! 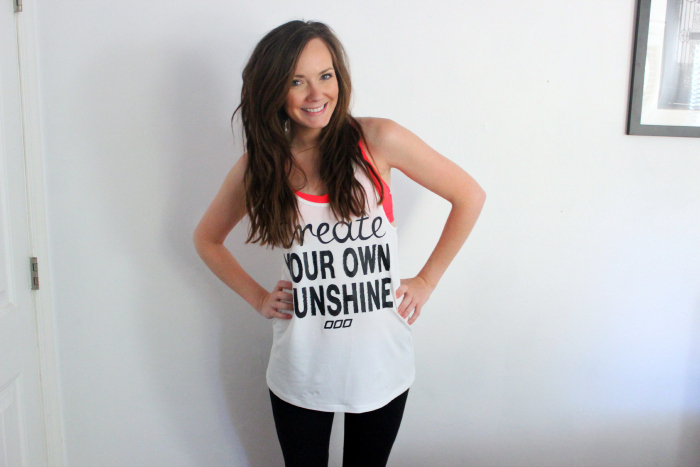 I’ve been really wanting the fitness journal, but I also love the Create your own sunshine tank you have on! Aww you are the sweetest!! Thank you so much girly :) I’m glad you entered!!! I like the Edie excel tank/bra. you really look great already, but I totally understanding needing to look good to yourself, not other people. 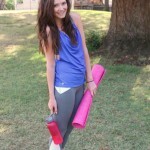 I totally love Lorna Jane, and would love the Arianna excel tank! I love the be amazing top! I love Lorna Jane and follow her on Twitter. Her clothes are so fun. I especially love the tank you’re wearing!